As children grow up and approach the teen and adult years, the fears that they’ll end up drawing away from us start to grow stronger. Whilst it’s normal to worry about things like what to do if your kid runs away from home, get in with the wrong crowd or find themselves in a bad relationship, there are some things you can do to help build a pattern of trust between the two of you. Even though many of these fears are normal and often just in our own minds – especially if we’ve been the best parents we can be, there are certain steps we can take to ensure that we maintain a strong and healthy relationship with our children just as we do with adults and everyone else in our lives. The main factor in a positive and healthy relationship is trust. In order to have the best chances of being the person your children come to when something does go wrong in their life, then they need to know they can trust you. 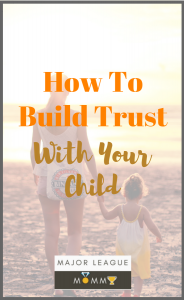 So, in this post we’re going to share with you some tips on how you can build and maintain a good level of trust with your child. Often when we’re in a conversation – especially if it’s one that’s a bit heated- we can find ourselves thinking we’re listening to the other side,when we are actually only hearing the things that support our own agenda or opinion. When it comes to your children – and in fact anyone with who you’re trying to build trust- then it’s important to make sure you’re really listening. Sometimes this means listening to what they’re saying and then taking time to absorb it before responding. People who feel listened to will know where to go when they need to talk about something, so this is really your first step in building trust. Eye contact can be quite uncomfortable for many people, but it’s an important thing to learn if you want to build trust with anyone. 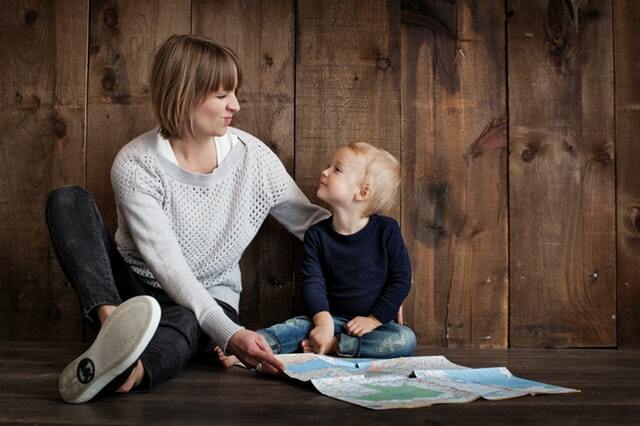 Sincerity in emotion can be truly seen in someone’s eyes, so if you want to connect with your child, this is something to get comfortable with. When your child tells you something, it’s important to acknowledge their feelings and emotions around the situation instead of just reacting to how you think you (or they) should feel. It’s important to remember that feelings are often formed from a perspective around a situation, so not everyone will have the same feelings and it’s important to show your child that you acknowledge and respect their feelings even if they’re not the same as yours in that moment. Sometimes life happens and promises have to be broken. You can definitely communicate this with your child, and let them know that you should only make promises you intend on keeping. It can be hard to say no sometimes, especially if you’re a people pleaser. 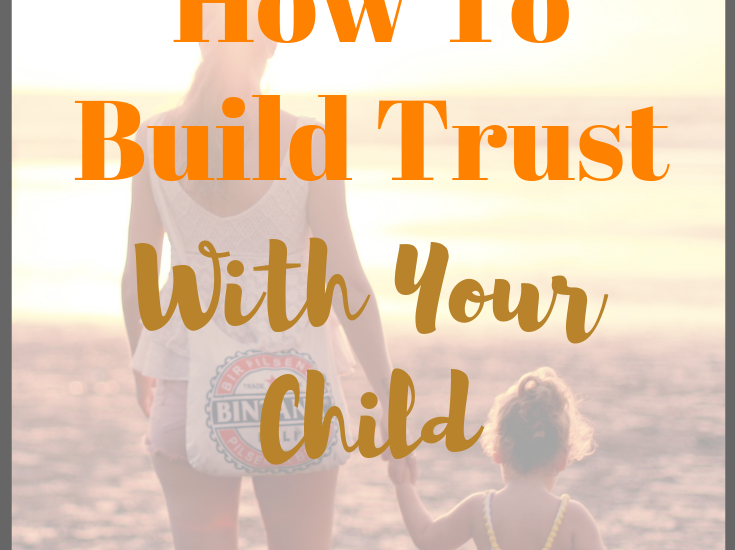 However, it’s important that your children learn that they can trust what you say while also learning promises are something that should only be made with absolute certainty. Enjoyed this post? Don’t forget to join in the conversation on our Facebook. We would love for you to share some of your favorite trust-building activities. See you there!